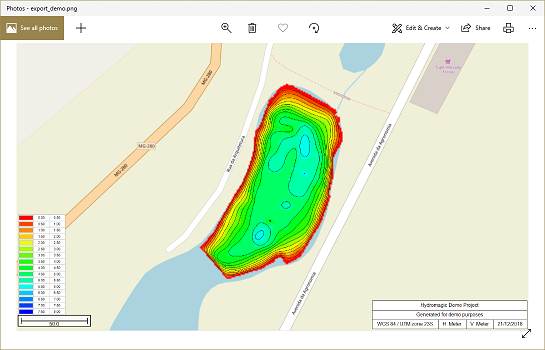 boundaries, raw data, waypoints and comments) as an image file. other GPS or GIS mapping software, without the need to calibrate the map. 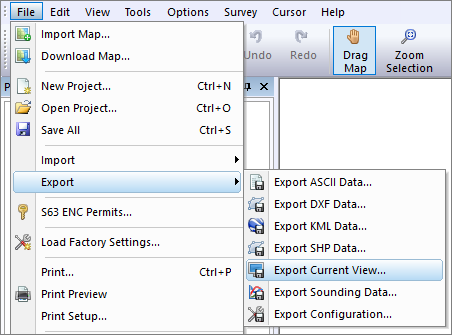 In order to export the current map view as an image file, select "Export" => "Export Current View..." from the "File" menu. Before selecting an output file, select the image format you want to use to save the image file. First, you have to select the output format and the file name of the image file. After selecting the format, use the "Browse..." button to select the folder and file name. When you have selected a file that already exists, the software will ask whether you want to overwrite this file. 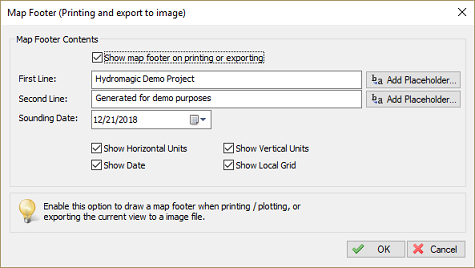 In cases where you want to import the exported image file into another GPS or GIS mapping software product, you have to enable this option. The software stores the upper-left coordinates and the pixel sizes (scale) in the world file. this enables the screen shot to be imported in most GPS/GIS software packages. The generated projection file will always have the ".prj" extension, irrespective of the selected format. 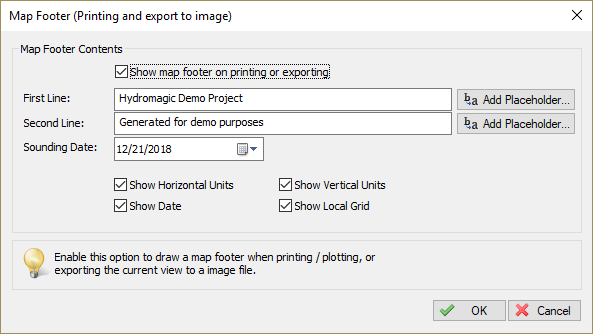 It is possible to add a map footer to the exported image, which is also done when printing the screen. 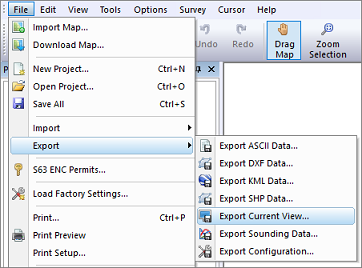 To select whether the map footer is included, and how the fields are filled, click the "Map Footer Options..." button. Just click "OK" to start the export. The software will now write the selected files. You can monitor the progress in the status bar at the bottom of the screen. 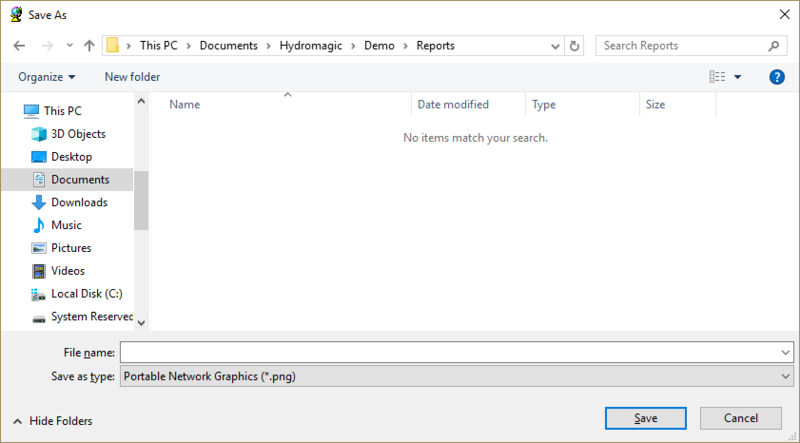 Depending on whether you checked the "Show image after export" the created image will be shown in the Windows Photo Viewer.